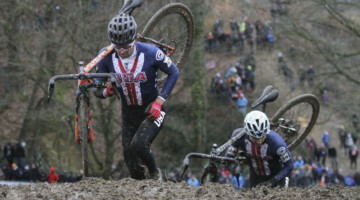 At the 2015 Craft Sportswear Gran Prix of Gloucester, Jeremy Powers was able to fend off a swarming attack from the Cannondale p/b Cyclocrossworld.com riders to take the race. Thom Parsons of Dirtwire.TV has compiled a video recap, capturing all of the racing action and interviews with many of the athletes. Enjoy it in the video above.